The water was calm. The torch with its imprisoned lightning has weathered many storms before. She is a patient one, isn’t she? I’m sure she’ll outlast storms. 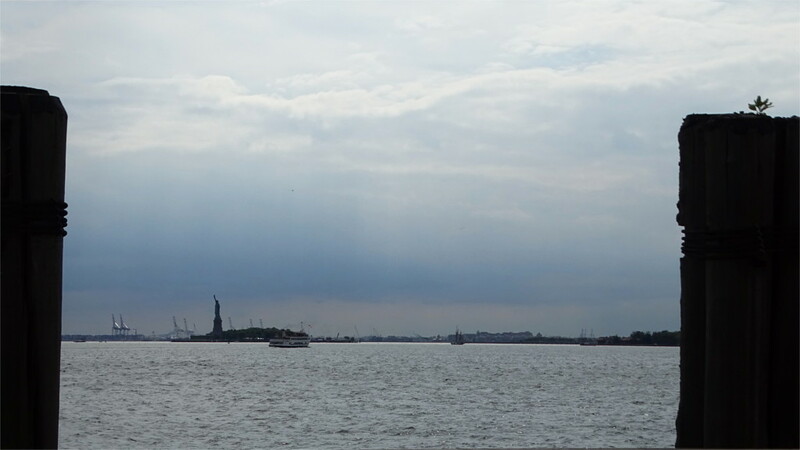 One of my pictures that I posted in response to this challenge was taken from roughly the same place, while we waited in the long, long line-up for the ferry to Ellis Island and the Statue of Liberty. I didn’t take the trip this time around, but I did see the queues! It’s worth it, though. Long may she stand, welcoming those who wait to arrive to freedom. Beautiful shot! Keep up the good work! i like this frame with a frame and all those tiny details of the skyline.